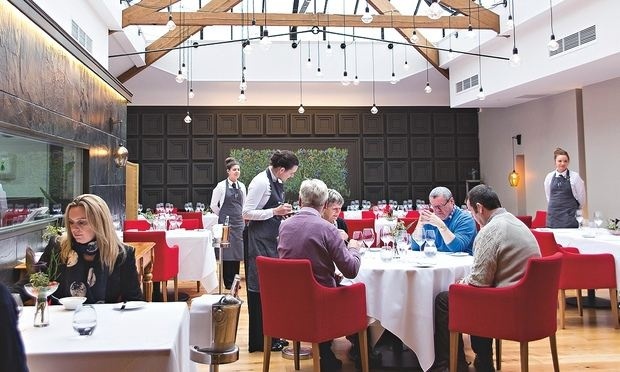 That great conurbation of Manchester and Liverpool [and Salford, Rochdale etc] – dubbed the new Northern Powerhouse by Her Majesty’s Chancellor of the Exchequer George Osborne – is surprisingly deficient when it comes to Michelin Stars. That’s not so say there aren’t great restaurants, but perhaps they might have more emphasis on other things [having a good time perhaps?…Ed]. Even the forced relocation of the BBC to their frozen outpost in Salford has failed to bring some of the metropolitan glamour northwards, despite the very best intentions of the politicians, both national and local. The BBC claims that it has more staff outside London than within, but only 2,000 moved to Salford – a medium sized English village, not a city. Salford, where the new BBC North headquarters opened in 2011, is the corporation’s biggest base outside the capital. The BBC moved London-based departments including parts of Radio 5 Live, BBC Sport, Children’s, Learning and BBC Breakfast to the MediaCityUK facility. Salford and the north of England, including cities such as Leeds, now account for 17% of BBC staff, or 2,834 full-time equivalent roles – up from 7% in 2007. Between May 2011 and September 2013 the BBC has spent £1.3m on flights for staff shuttling to and from Manchester, according to a response to a Freedom of Information request. For us, the BBC thing is a bit token and doesn’t really represent what the north is all about – that means industry and production, as well as the service sector. 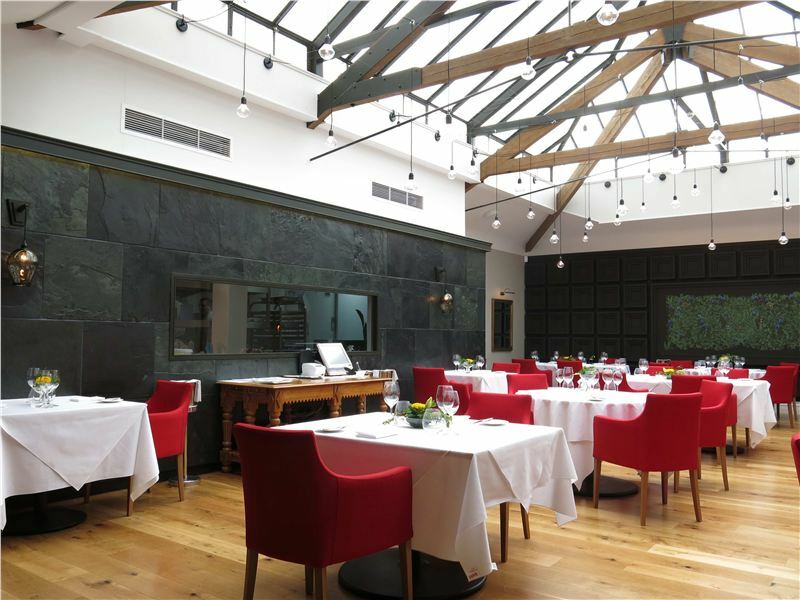 However, the benefits are the development of more cultural facilities, following on from the brilliant Liverpool City of Culture and the recent slew of announcements about cultural expansion in Manchester, together with new restaurants from Simon Rogan at the Midland and Aiden Byrne’s Manchester House. Home’s launch comes three months after the Whitworth gallery reopened after a £19m expansion, while there are also plans for another new £78m venue called The Factory, less than a mile from Home. Austerity? What austerity? 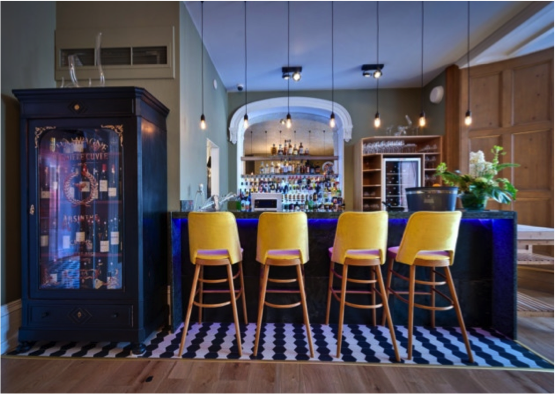 Paul Askew, formerly of the London Carriage Works, has opened his own fine dining establishment in a wonderful space originally the lantern room of the Home for Destitute Children on Sugnall Street. On arrival we were greeted by a doorman and offered a complimentary glass of champagne in a small bar. Through to our table in a single room with a large window into the kitchen for a much anticipated meal. Fricasee of rump and charred loin of veal with Smithy’s Southport mushrooms, Cippolini onions, asparagus and crushed Jersey Royals. Tender meat really really nice – brought a smile to my son’s face, which says it all. Theme on caramel ~ to include Apple and toffee mille feuille, Salted Caramel ice cream, bordelou and sesame tuille. Another delicate structure as Martin Wishart and a shame to destroy – brilliant. Opened in September 2014 our new special place to eat, Michelin star? 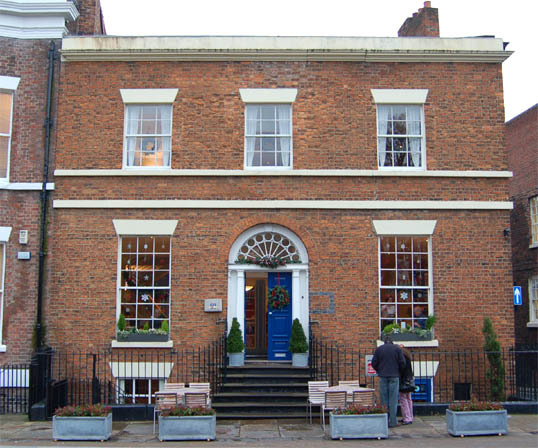 Well, we loved it but being hyper-critical the service, whilst friendly and good, wasn’t quite at the level of, say, Simon Radley, but that said with a tiny amount of fine tuning and assuming the food is consistent over time, I wouldn’t be surprised that Liverpool gets its first starred restaurant.